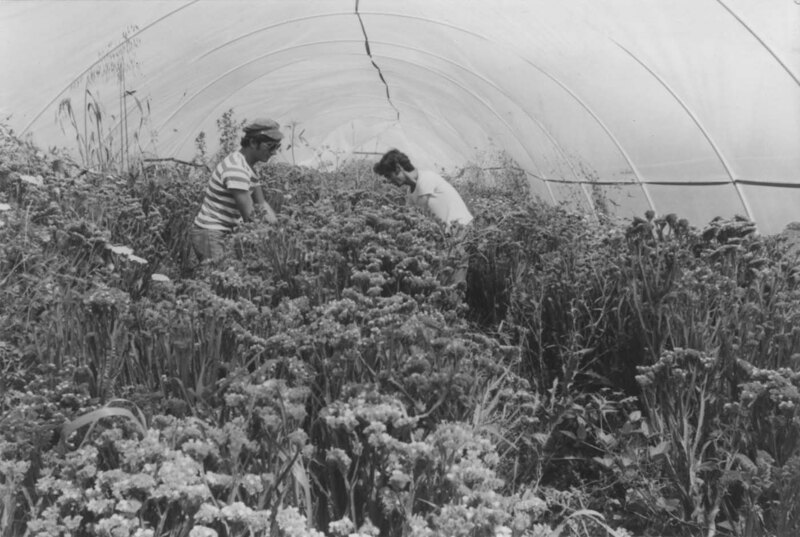 1 photograph : b&w print ; 3.5" x 5"
Photograph depicts two men surrounded by plants in what appears to be a greenhouse. 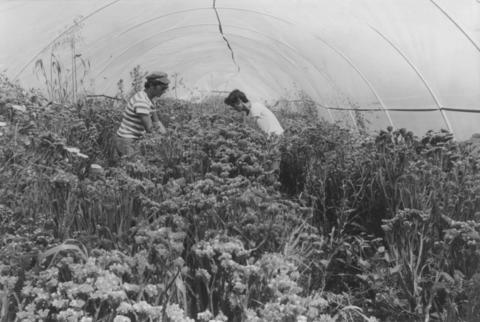 Written on the verso: "Flower growing at [Gwat Henenya] JNF Galil Canada new settlement. Jan 80 not used. Omit. 20/8999."